Self Reversing Tapping Attachments is the tool for internal threading .This tool is used where high production rates are to be achieved .The tapping attachments reduces the chances of the tap breakage and can be used on a conventional drilling machine .We have tapping attachments from 3mm to 30mm .This tool can be used by semiskilled operator also. We are one of the noted organizations engaged in offering the best KWFLK MT. These products are manufactured by making use of supreme grade steel and other basic material through effective technology. We are offering a wide assortment of Tapping Attachments & Adaptors to our clients. 'KWFLK' tapping chuck & 'kwes' series tap adaptors type : kwflk for cnc machines size: 1, 2, 3 & 4. We bring forth for our clients Reversible Tapping Attachments, which can be used with every vertical drilling machine or machines that has rotating non reversing spindles. Ultra sensitive and smooth operating ball clutch is provided to ensure complete protection against tap breakage. The best quality tapping attachment is available in different size & capacity. This is the best way to make tapping in CI, MS, SS & other metals. No need to buy separate tapping machine. This attachment can be used on any existing geared drilling machine. - Are suitable for use with standard taps on any drilling machine or lathe, vertically or horizontally for right or left hand tapping of blind or thru holes. - Have adjustable friction-clutch to avoid tap breakage. - Have self-centring chuck to hold tap true. - Are extremely useful for mass production. - Have perfect automatic reversing mechanism with double pull out speed. 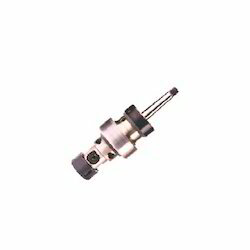 • Usable on every vertical drilling machine or machines with rotating non-reversing spindles. 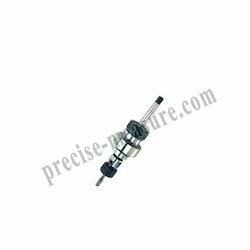 We are Leading Importer and supplier of Tapping Attachments in Chennai. Our Magnetic These are available in various designs, models, sizes and competitive price to our customers. Price varies from Rs 6000/- to Rs 68000/- based on the specification of the products. We are offering Tapping Attachments & Universal Vice to our clients.